The energy of this place is wildly electric and at the same time peaceful and calm. 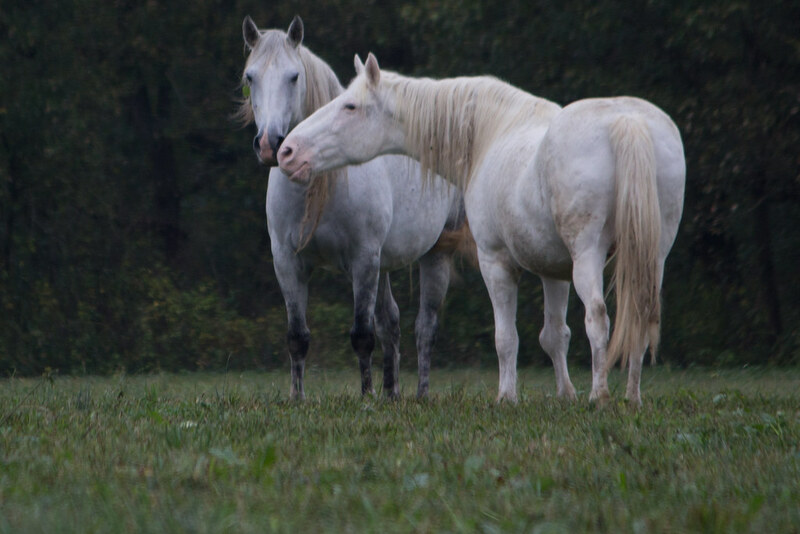 Wild horses behave so differently from domestic horses–and to have the opportunity in the midwest to observe them is breathtaking and life-changing. Your skin will prickle with excitement as you stand in the field with them. Their energy is boundless and palpable. 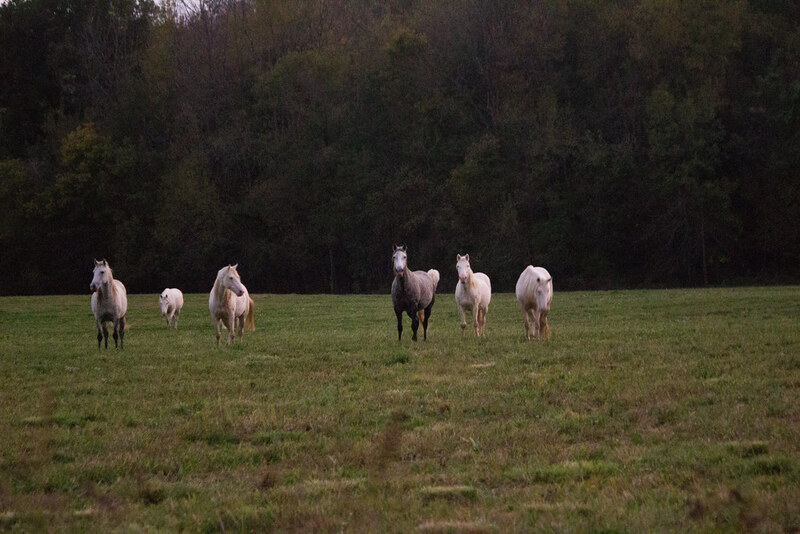 They’re wild, so there is no touching or getting close to them like domestic horses, but they are accustomed to human presence and allow us a glimpse into their life. They give permission to stand nearby and feel their magnificence. The farmhouse we’re staying in has a trail on the property that the horses have trodden. 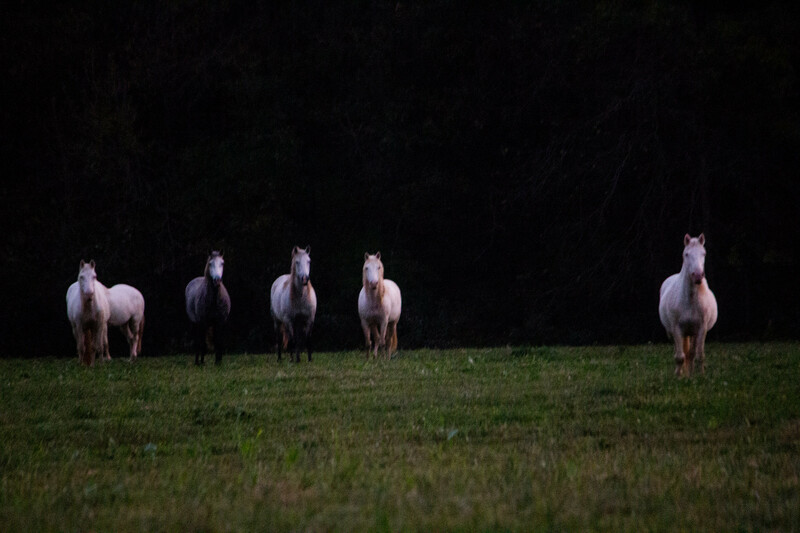 Just a short way down the dirt road from the house is the field they frequent where they often sleep and graze at dawn and dusk. This will be a completely unplugged weekend. You can check in with your family daily, but I ask that your phone is nowhere near you during the retreat. In my personal life, I unplug once a week for twenty-four hours. The lessons and energies that integrate during that time are profound and I want you to experience this level of connection with the earth, the animals, and the energies present. The food will be delicious, completely gluten free, homemade from scratch by my husband, Phil. Trust me when I say you haven’t had food this fabulous anywhere else. We’ll have nightly guided meditations around the campfire. 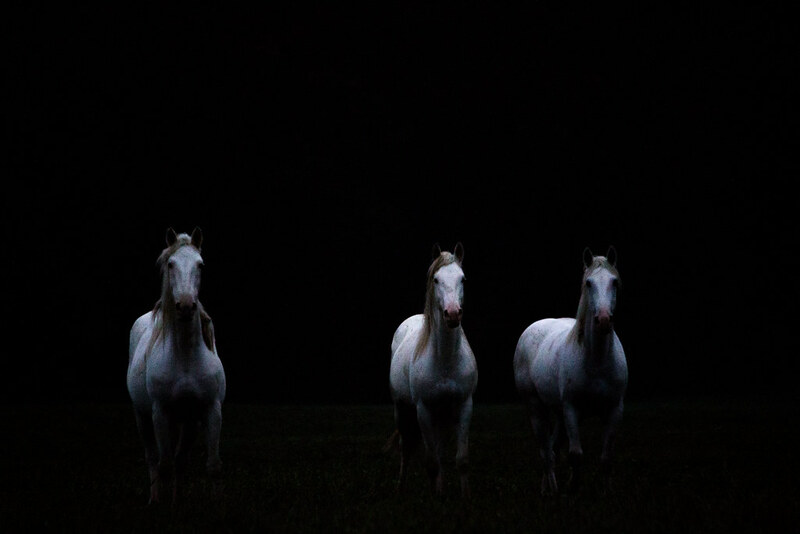 Intuitively, I’ll lead a spirit journey with the wild horses after we’ve seen them in person where they will share their medicine with us, bring us messages from the spirit realm, and allow us to share in the feeling of complete freedom. We will enter into ceremony to create our own medicine drums. My process is traditional and also unique and allows you to create very specific intentions for your personal medicine drum. We will soak the hides and lacing in a unique way, set intentions and put them into the drums, and we will create and birth these with our own hands while in the energy of the wild horses. With an energy modality I learned in Sedona from a woman who works with the energy vortexes there, I will lead you in capturing the energy from Eminence and the wild horses to carry with you wherever you may roam. It never leaves you and you need only access it. 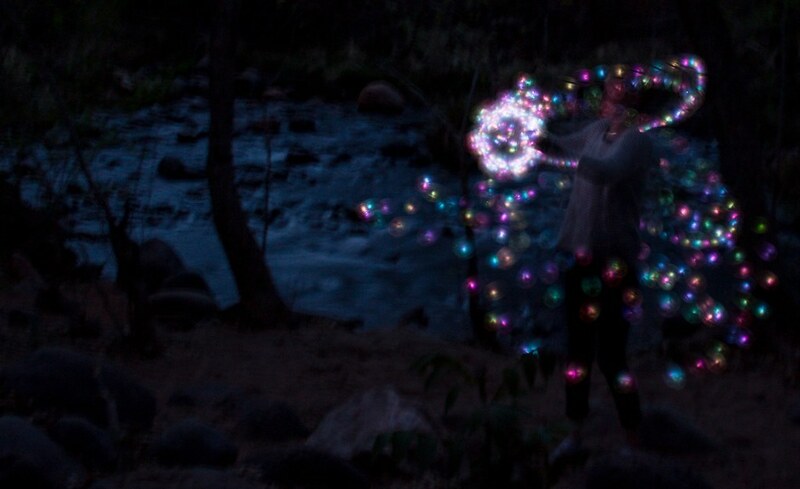 We will create the drums while connecting with Mother Earth. We will have a drum circle and a special time of drumming that is called a drum wash. Each person is placed in the center while the others encircle her. 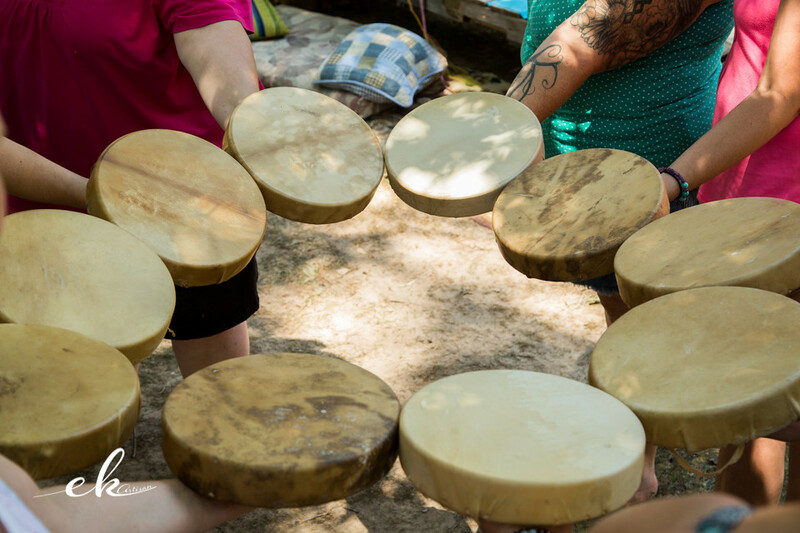 We drum the unique song of each person while inviting in the four directions, Mother Earth, Father Sky, the ancestors, and all our relations. This powerful ceremony brings all of our medicines to the circle. The feeling you receive from this drum wash will never leave you. Each day, we will be led in Wild Soul Movement by Christine Juckett. Wild Soul Movement melts away everything that’s ever made you feel wrong, ashamed, less than, or unsafe in your sacred body. It’s not about working out, it’s about working in. 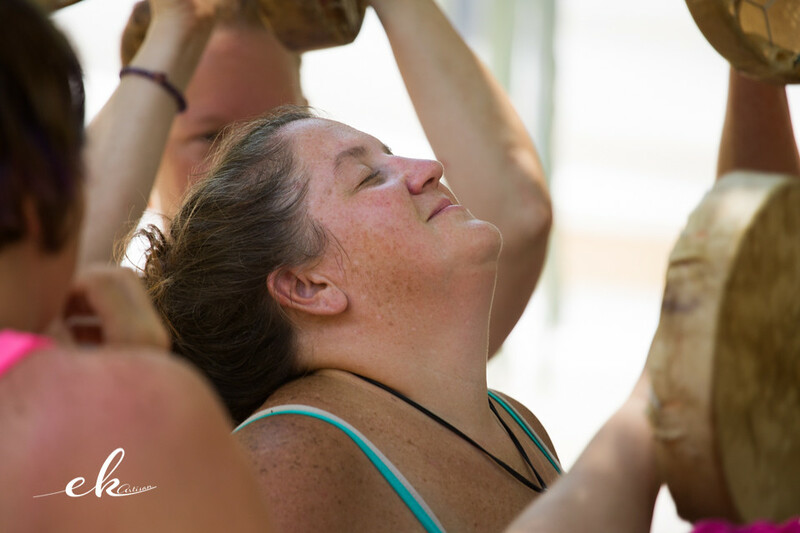 Wild Soul Movement is a grounded and loving practice designed to get you out of your head and into your body. Together we will redefine the rules, expectations, culture and conditioning that have separated you from your body. This is a path to power, trust and freedom within. It’s the permission and stability you’ve been craving. The journey of being a woman, falling in love with our bodies, and owning our power is not something that can be done alone. This is a sacred space where any woman can find and be herself. It all starts here, with a strong community of women who are brave enough to stand up and say yes to a new way. Christine will intuitively choose the daily sessions for the remainder of our time together. During one of our days, we’ll make dreamcatchers. Big or small, simple or elaborate, colorful or monotone, it’s up to you. 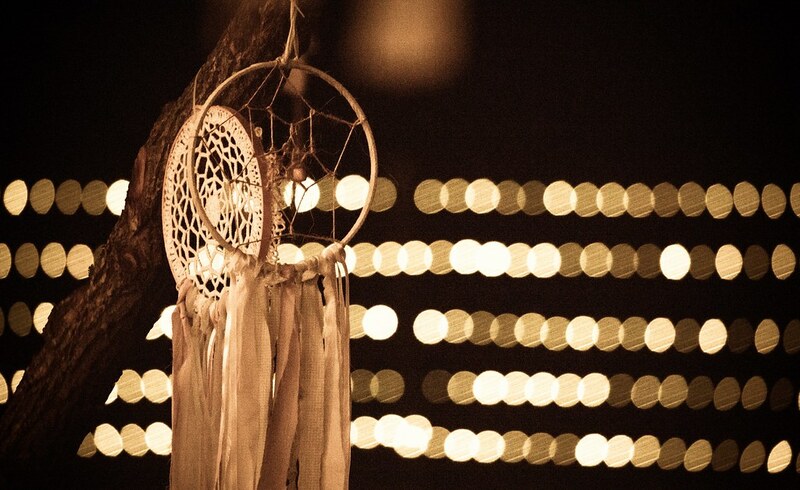 Your dreamcatcher will reflect your desires and your time at this retreat. Leanna Dalton will lead us in creating a Soul Painting. No experience necessary. This is a freeing and healing artistic endeavor that comes from your inner knowing. It’s letting go. It’s freedom. We will be instructed on the power of the heart energy and how to connect to this energy before we start the painting. Not only will we learn some important information about the human condition, but will learn to express freely and begin to see a part of us on canvas that we never knew was even there. Leanna will gently guide us throughout the class. 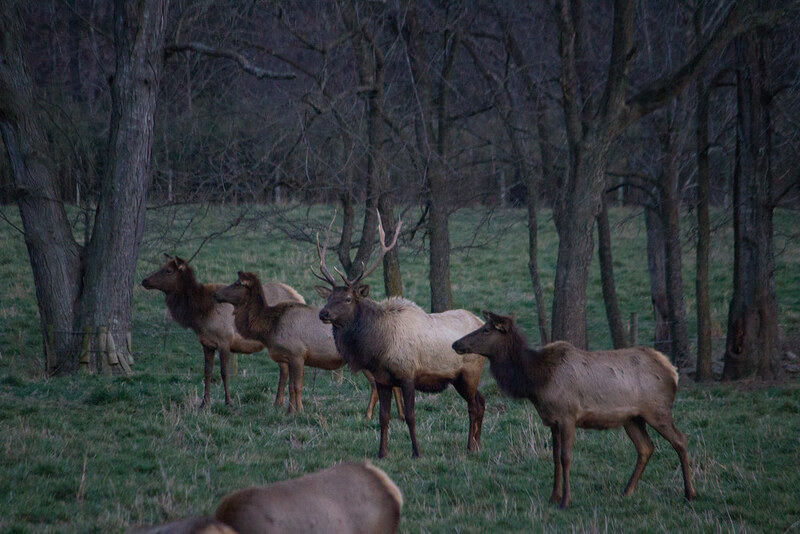 There will also be opportunity to drive a short distance to observe the wild elk herds. They are a sight to behold! Their power and energy are also big and grand. 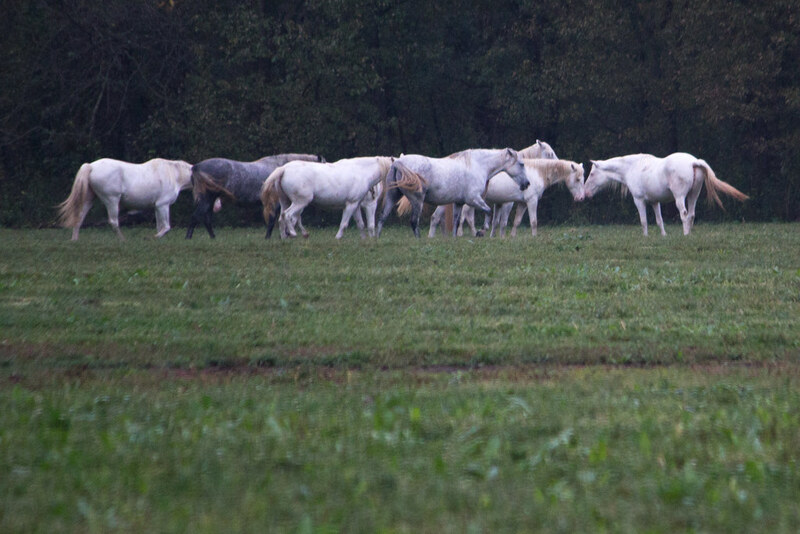 If you’ve never seen a herd in the wild, you’re in for a special treat. The authentic soul connections you will create at this retreat will astound you. The depth to which we will connect is limitless. I am holding space for you, for your freedom, your rest, your relaxation, and your time of transformation here. 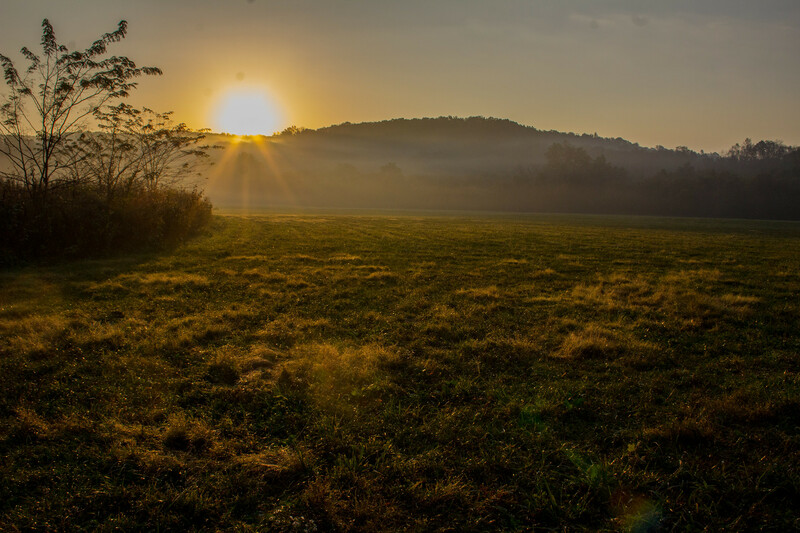 You will gain a new and powerful deepening of yourself at this retreat. 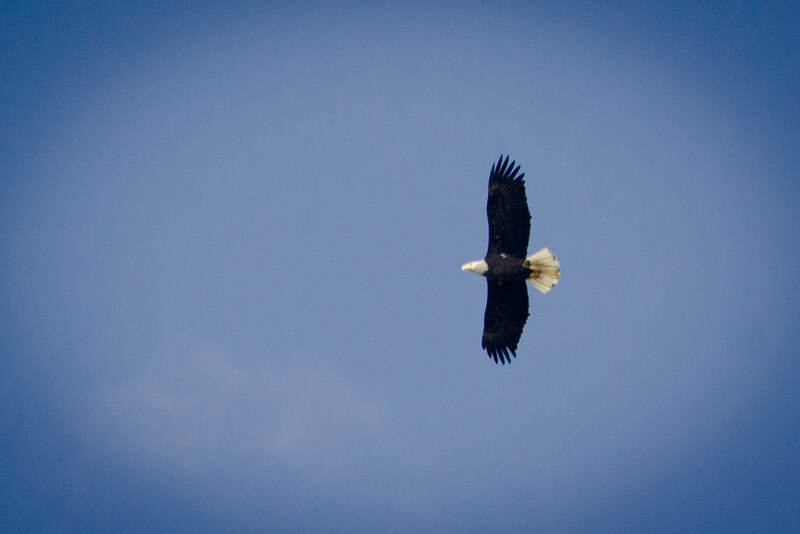 Your confidence will soar with the eagles–which, by the way, we might catch a glimpse of in Eminence. Your registration includes all homemade, from scratch, gluten free meals–dinner Thursday, three meals a day Friday and Saturday, and brunch on Sunday plus snacks and beverages. 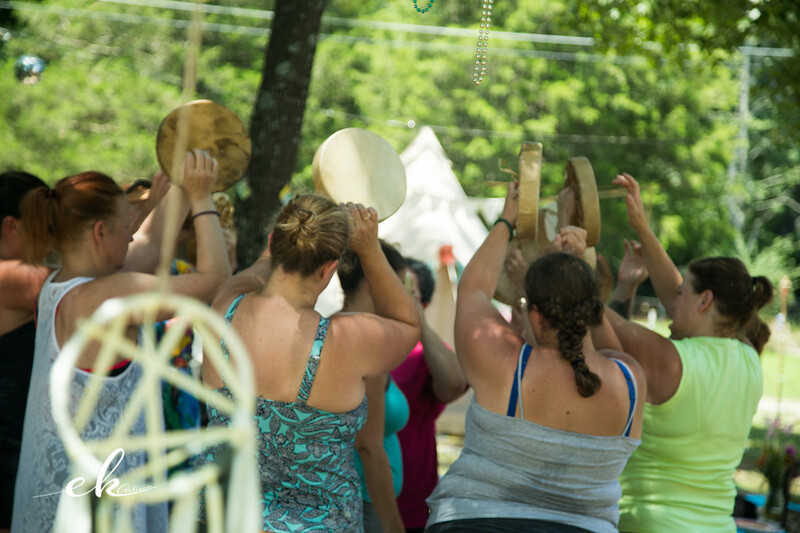 Registration also includes lodging, drum making supplies, and Wild Movement sessions. You will be completely taken care of! You can fly into St. Louis. We will work with you to get from St. Louis to Eminence. Details regarding location of the farmhouse and other information will be discussed individually. Please contact me as soon as possible if you are joining us. Email or Facebook me. I’d like to have 52 participants so we can all do a full deck of 52 cards. Alter the deck: Cover (glue) one or both sides with something–cardboard, paper, paint, or canvas sheets. Art up the cards as you wish. One side, both sides, whatever you please. Send the cards to me by May 1. I’ll separate them and everyone will receive a deck of altered art cards by all different artists!! Cost is $15 which will cover the sorting, packaging, and mailing of the altered decks. For weeks now I’ve been receiving messages I didn’t quite comprehend. Instead of trying to figure them out (which is what my default is) I instead chose to sit with them, hear them, receive them–with no expectations. But not in the way that you might first think. I’m actually being called to create space in the physical realm–meaning an opening, an expansion. a continuous area or expanse that is free, available, or unoccupied. the dimensions of height, depth, and width within which all things exist and move. position (two or more items) at a distance from one another. We live in a time where we fill every last second with something. No one has time for anything. Everyone is rushing everywhere. Doing and doing and doing until they’re falling over in exhaustion and illness. Adrenal issues are at an all time high. People are disconnected with the earth and her cycles. We bathe in artificial light and damage ourselves with it. Information overload is making us the most anxious, worrisome creatures to ever live. We chug down pills to numb the anxiety, we drink ourselves into oblivion, overindulge in things because we “deserve” it, and we’re more miserable than ever. My thoughts default to: are people really that blind? I think they might be. I know I was. I held on to things–and not just material things. This journey will take us through some emotional and spiritual clearing as well as physical clearing and creating. We fill our homes with stuff, we’re in debt over our heads, we’re chained to payments, mortgages, loans, and we’re working our asses off to pay for things we have little to no time to enjoy. We’re never fully present for much of anything. We don’t re-align society without re-aligning ourselves first. We have to stop looking outside of ourselves for salvation, safety, and resolution. I have been creating space in my life for many, many years now and I feel like I’m being called to share that teaching with others. We have been debt free for over a decade. We both work from home. We have created a life of simplicity and joy. I do what I love–every single day. I have cleared away societal expectations, familial judgments, and spiritual legalism. There is so much freedom for you! Starting with the new moon on January 27, I will be teaching those of you who choose to join me in a group setting on Facebook that will take you on a slow journey of clearing and creating space. The power of 27 is asking to be acknowledged–so for 27 weeks we’ll be in community together addressing the aspects of life that have kept us overwhelmed for far too long. Staying in alignment with this power number, I’m going to open up the group to only 27 people and keep it at a very affordable $27 a week. 2+7 is 9 which is a number of ending cycles but also new beginnings. Death and rebirth. No one can change things for you except for you. I can make offers and teach until the cows come home–none of it means anything unless you decide to step forward and receive. ~weekly lessons that are quick and profound, but can also be taken to a deeper level. ~two sixty-minute coaching calls during the 27 weeks, to be used at your discretion. I was figuring some numbers for participant because she and I had talked about creating a package that would give her freedom to call me when she needed me most during her busy season at work. I am always open to the scheduling needs of my people so I wanted to offer her a bundle of calls that she could use whenever she wanted. I had no clue I would create this offer today. It came to me while I was doing reflection readings in my Facebook group: Way of Truth Medicine Circle and so I listened to the urge to write this. I stared at the date January 27 for a very long time and the 27’s started to float in the air around me. And that’s how I decided on the 27 weeks for $27 a week. Diane then mentioned that her birthday was January 27!! I grabbed my calculator to figure out how I could give her a great deal on this Creating Space teaching plus the bundle of calls we’d originally talked about. At $27 per call for 10 calls that’s $270!!! BAM!! The Universe is freaking amazing! Now, I’m going to extend this offer to anyone who would like to jump in the vortex with me!!! 27 weeks of lessons, $27 a week, plus an additional ten sixty-minute calls for $27 per call or $270. This offer will officially close on January 27. Commit today–December 27–for the teaching and bonus calls for the word art bonus! !